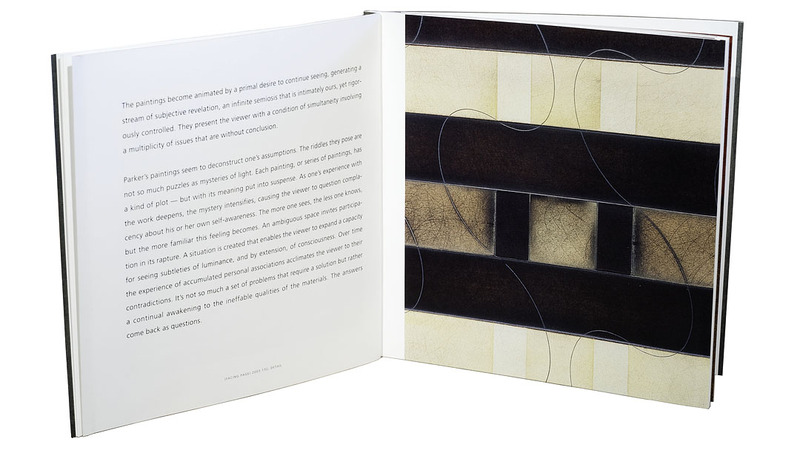 Through careful planning, each 6″ x 6″ book (including the covers) was printed on a single sheet of high-quality 26x40 Sappi cover stock. To emphasize the unusual personality and surface characteristics of Parker’s work, selected parts of each painting were highlighted in gloss varnish running as a fifth color. 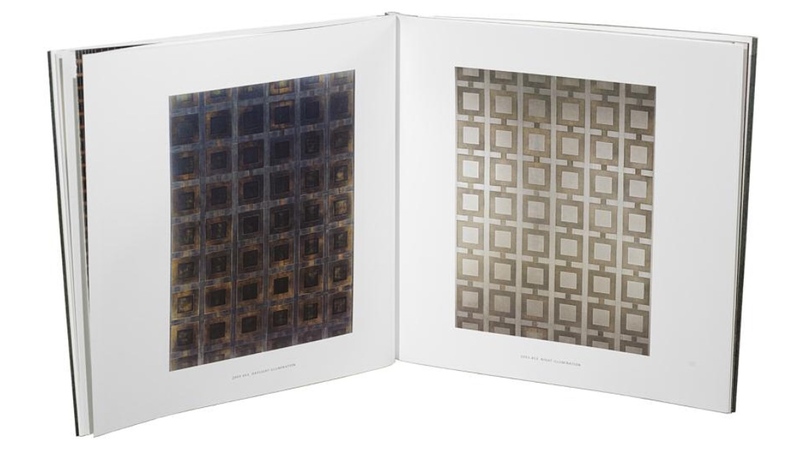 Greg’s paintings were photographed by noted art reproduction specialist Bernard C. Meyers; color separations and printing by The Stinehour Press. 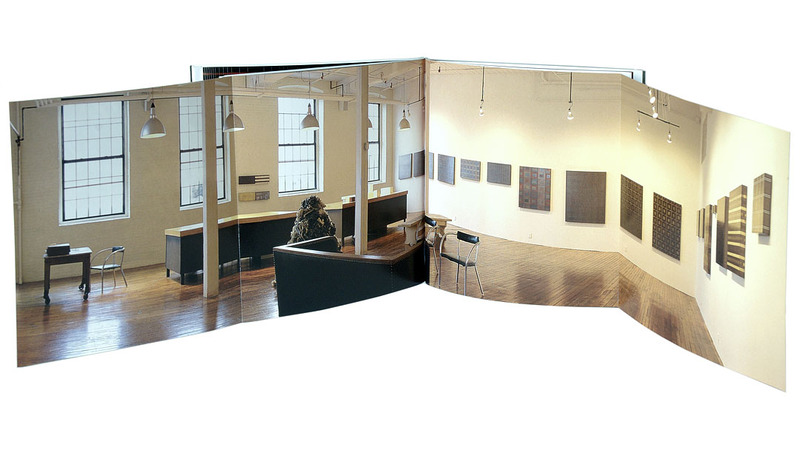 The image below shows a gatefold panorama of the artist’s studio, which folds out to 24 inches. One of the goals of this book was to show Parker’s potential clients the very changeable and responsive nature of his paintings. He creates them by rubbing pigment and graphite onto the surface of each piece, which makes them highly reflective and responsive to changes in lighting throughout the day. In this way, a Parker painting comes alive and changes its personality dramatically throughout the day. Slides sent by the artist to clients were never able to fully represent this transitory quality, but the book demonstrates it well.